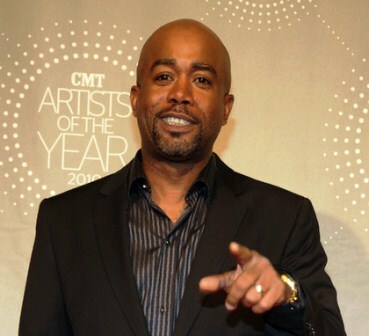 *Country music star Darius Rucker is debuting a new song at this Sunday’s Academy of Country Music Awards, and he’ll be performing it with 25 of the co-writers, reports the AP. The tune, called “Music from the Heart,” was written by young people with developmental disabilities who attended the ACM Lifting Lives music camp last summer in Nashville. They composed the song with professional singer-songwriters Chris Young and Brett James. The special performance with Rucker and the campers will support the Vanderbilt Kennedy Center and its mission to improve the lives of young adults with developmental disabilities. Viewers can make a $5 donation by texting DREAM to 27722, calling 1-888-9-LIFTING or logging on to acmliftinglives.org. The ACM Awards air live from Las Vegas this Sunday on CBS.